In multiple attempts compilation from sys was always giving proper outcome but from TEST schema it wasn’t. The ALTER ANY TRIGGER system privilege found to be causing issue while restriction, revoking it has restricted oracle9i osuser from logging into TEST schema. 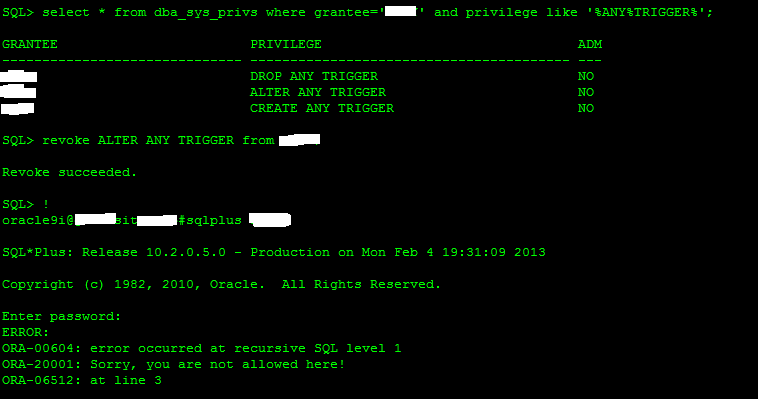 Noting ALTER ANY TRIGGER privilege behaviour, have resumed to actual requirement wherein ADMIN to be restricted by a trigger owned by TEST from osuser oracle9i. ORA-20001: Sorry, you are not allowed here! 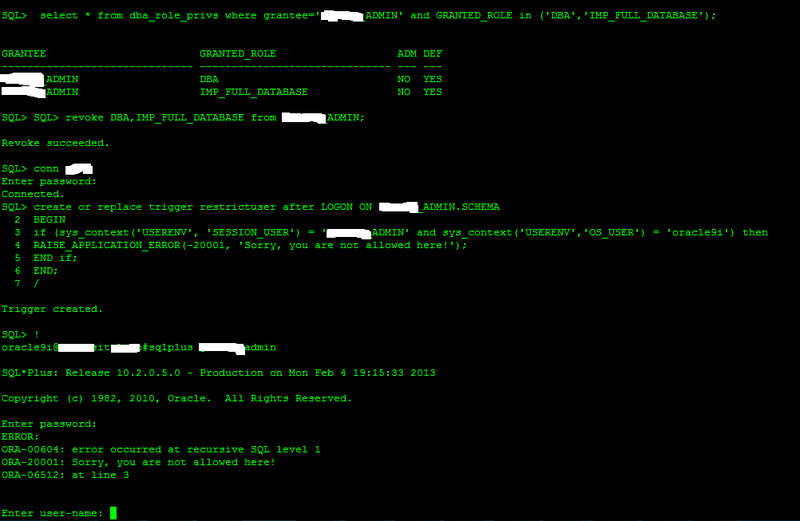 Sys Privilege ALTER ANY TRIGGER sys privs & role DBA, IMP_FULL_DATABASE were suppressing the restriction set by the trigger. 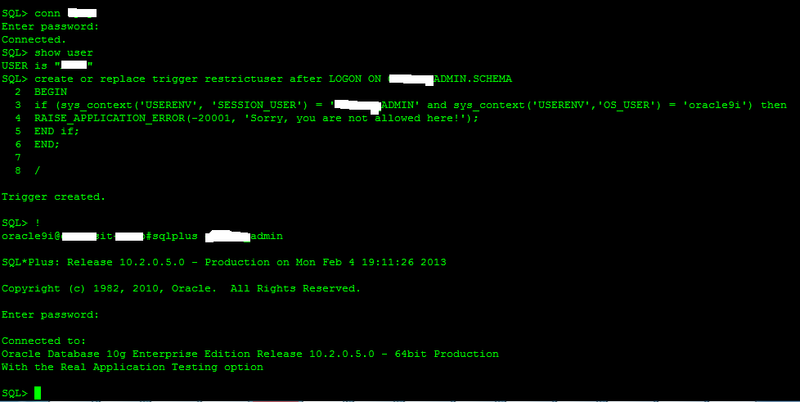 Revoking the Sys & Role privilege from db user (ADMIN here) has resolved the issue.